Today your host Ben Consoli speaks with Cameraman Jerry Ricciotti and Equipment Manager Dan Meyer from the HBO Documentary Series VICE. We talk about the dangerous and extreme places they cover around the globe including Afganistan, Libya, North Korea and more, also what cameras they use and why. Plus Ross Shain from Imagineer Systems comes on the show to talk about the rotoscoping and tracking utility Mocha Pro. Great new guests coming up including Shane Hurlbut and Vincent Laforet! 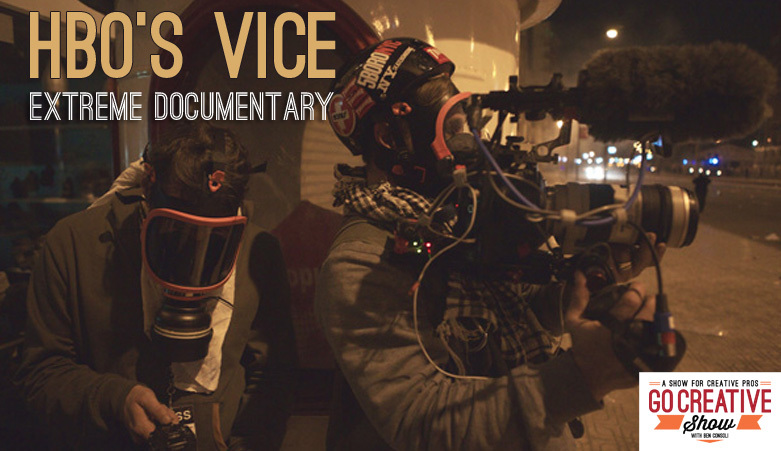 Cameraman Jerry Ricciotti and Equipment Manager Dan Meyer travels the globe to film some of the biggest conflicts and most hostile environments for the HBO series Vice. These are some the most extreme documentaries in the world today and I am a huge fan of their work and an admirer of the courage it takes to do their work. Today we speak with both Jerry and Dan about their experiences shooting for VICE, their decision to use Canon’s C300 cameras and some of the memorable and frightening moments their have experienced while shooting the show. The strategies behing shooting the real world as it is.